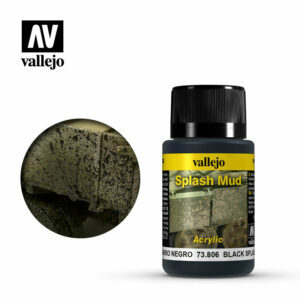 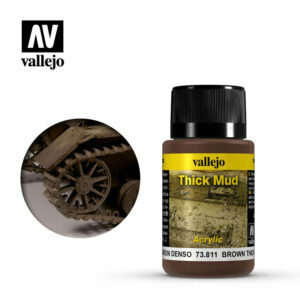 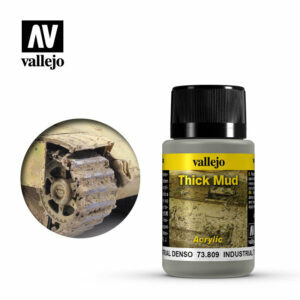 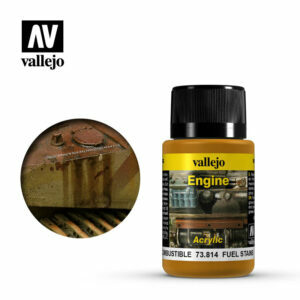 The innovative range of Weathering Effects offers the modeler a new medium for depicting the effects of exposure to weather and extreme climates on vehicles and armor. 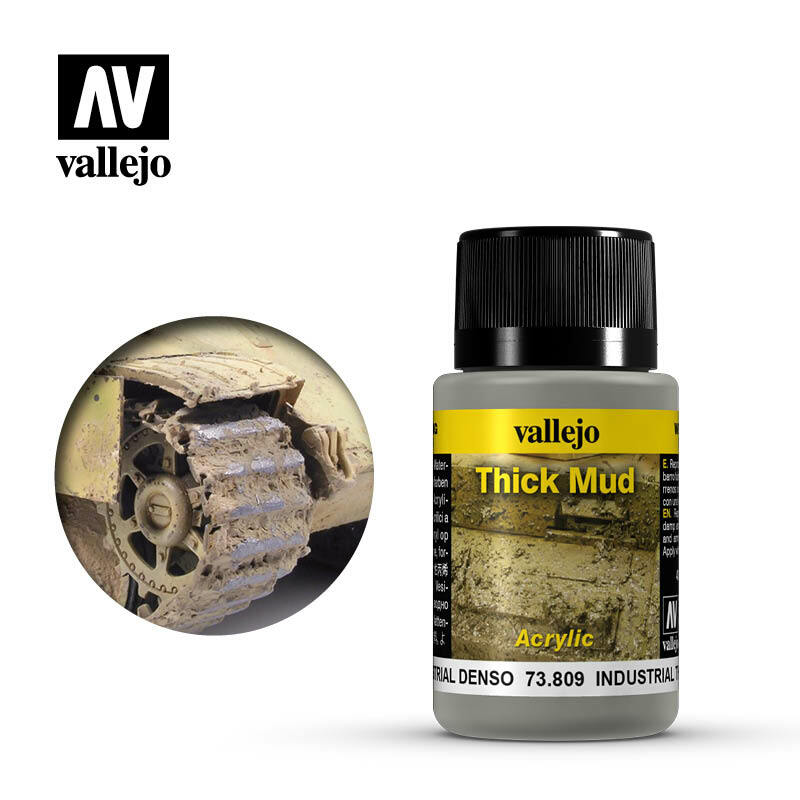 The references of the range are formulated with permanent pigments and water based acrylic resins, and offer a great variety of scenic possibilities such as the creation of spilled fuel, engine grime, lichen and humidity, and crushed grass, mud splashes and fuel stains, each developed to represent a specific effect on vehicles and armor and to show their operative history under harsh conditions.The products can be applied directly on the base, dry rapidly and most of them permit immediate further manipulation with the exception of Thick Mud which needs a more extended time for drying completely. 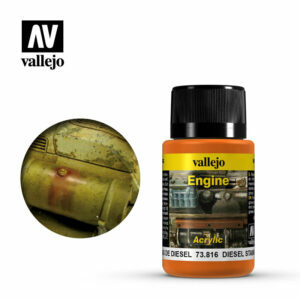 Tools can be cleaned with water and soap. 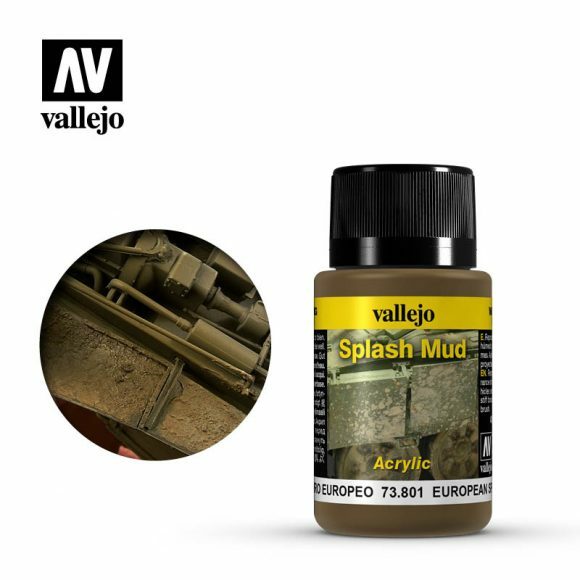 Applications: A dark brown color most commonly observed in central European terrain and humid areas of the Mediterranean countries. Most of the non alkaline grounds present this color.